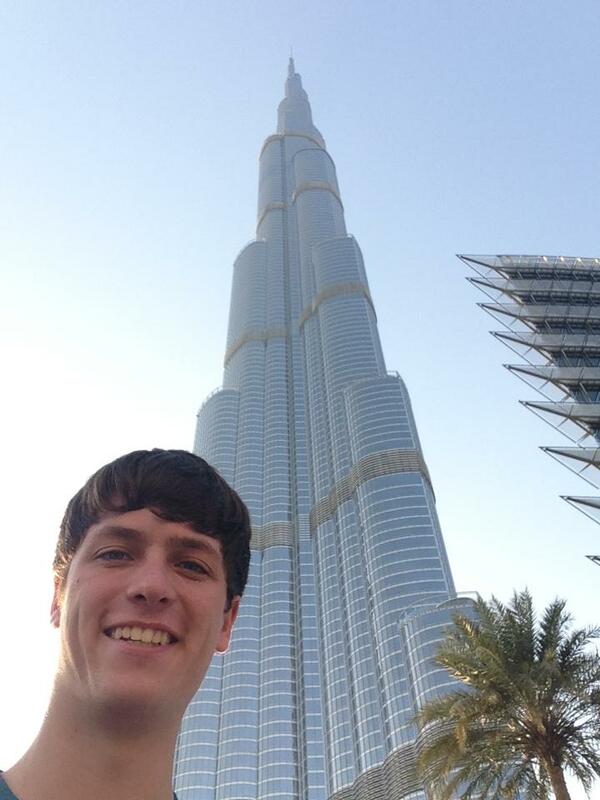 Honors chemical engineering student Alex Moix spent time in the United Arab Emirates working on his Arabic and absorbing Emirati culture, while also managing to snag honors at a design competition using his 3D modeling skills. The United Arab Emirates is only 40 years old, but has seen rapid economic and social change due to the discovery of oil in its capital Emirate, Abu Dhabi. A once Bedouin society that survived economically on pearl diving, the UAE has become an economic and tourist powerhouse of the Middle East. The people of the UAE are made up of 20% citizens and 80% expatriates, who came into the country for the enormous job market. The Emirati citizens isolate themselves from the rest of society both financially and culturally. Citizens do not pay for taxes or land, they receive the best jobs, and they get a lot of support from the government. They also tend to keep their culture to themselves by only socializing with other locals, having large walls around their houses, and marrying amongst each other. I chose to go to the UAE so I could learn about Arab culture and was surprised to discover this isolation. Therefore, I made a goal for myself to have the opportunity to see the inside of an Emirati home. It wasn’t even the second week before I accomplished this goal. My study abroad coordinator in the UAE introduced me to a local that had just gotten out of the English program at my university. He was unlike most Emiratis and immediately included me in his social sphere. I went over to his house, met his family, and became friends with all of his friends. It wasn’t a few weeks before I had been in countless Emirati homes and learned so much about their culture. They taught me a lot of new Arabic words, took me to the desert many times, introduced me to lots of new foods, and showed me the life of an Emirati. 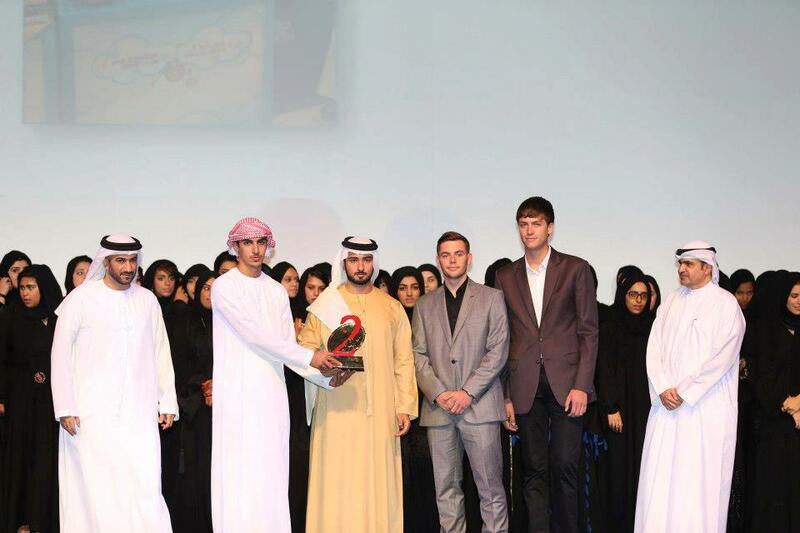 My favorite experience from my time here in the UAE was the Youth Entrepreneur Competition in Dubai and Abu Dhabi. My local friend, another American, and I built a 3D printer and created a business at this competition where we printed custom solid 3D designs as well as 3D busts of our costumers. We had high hopes for our idea placing us in the competition but were facing the obstacle of being against 800 other teams of which 80% were Emirati teams. Nevertheless, after 48 hours of manning our booth, we were awarded second place! We attended the awards ceremony a few days later where Sheikh Majid, Crown Prince of Dubai, handed us our trophy as well as a large monetary award. It was a proud moment for the other American and I as we were the only non-Emiratis standing on the stage. Experiences like this in the UAE have provided me with many new skills that will help me out greatly in the future. Read API’s report on Alex’s competition win here.